Valtteri Bottas is back in the driver’s seat. Are you ready to experience the Power of Connected with Konecranes and Valtteri Bottas? Go behind the scenes with Valtteri Bottas during the filming of Konecranes' Technology Connected film. 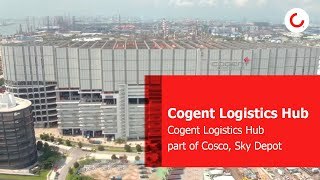 Check out our customer story of Cogent One-Stop Logistics Hub: A world’s first – a cutting-edge rooftop container depot that enables the facility to provide its customers with a full suite of services. Each week, we will introduce you to some of our people who make Konecranes the best place to work.